Welcome to this new initiative offered by Shambhala Online! The Shambhala Online Book of the Month is an opportunity to learn about the recently published books from our many wonderful Shambhala authors and get to know them a little! Each author will present the book's main teaching and share what inspired them to write about it. Their presentation will be followed by a Q&A where you will be able to engage them and explore their past, current and future offerings. For many people who struggle with food, mindful eating alone is not the answer. 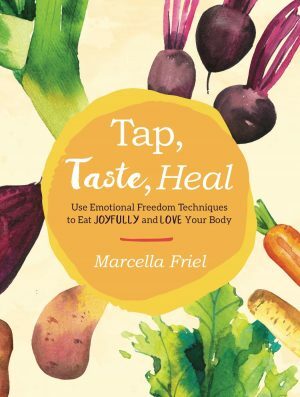 By teaching the neurological repatterning tool of Tapping, natural foods chef and mindful eating and body image coach Marcella Friel will help you rediscover nourishment in the foods you eat. Sometimes called "emotional acupressure," Tapping (also known as the Emotional Freedom Technique or EFT) is an energy-healing-based practice that pairs gentle, self-applied pressure with vocal affirmations to short-circuit harmful patterns such as binge eating or boredom eating. Tapping can help you lose weight—but more importantly, it will help you accept, honor, and nourish your body. Friel offers step-by-step Tapping instructions, links to online demonstrations, and cooking tutorials to prepare delicious, nutritional foods and jumpstart your healing journey. 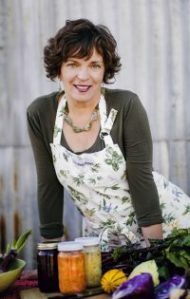 Marcella Friel is a mindful eating mentor and natural foods chef who helps health-conscious women love and forgive themselves, their food, and their figure. In 2018 Marcella founded the Women, Food, and Forgiveness Academy, an online mentorship program to guide women on the path of unconditional self-love and sustainable body-weight balance. A former kitchen manager at Shambhala Mountain Center and cook at Gampo Abbey, Marcella now lives in the high mountain desert of Southern Colorado and spends her free time soaking in the half-dozen hot springs near her home. You can purchase Marcella's book by clicking here! Join live or watch later! To view the full schedule of our Shambhala Online Book of the Month, please click here.